There is a growing interest in employing conversational agents as companions and coaches. An important skill for this type of agents is providing social support to users after they have an experienced upsetting event. In order to provide social support, conversational agents need to be empathic to the user. In this paper, we specify strategies for conversational agents to provide social support to users. 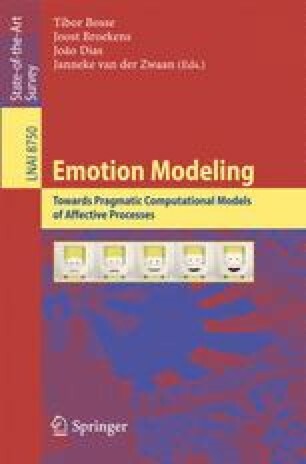 The main contribution of this paper is a mapping between OCC emotion types and support types that can be used to generate emotional behavior in a largely domain-independent way. This work is funded by the Netherlands Organization for Scientific Research (NWO) under the Responsible Innovation (RI) program via the project ‘Empowering and Protecting Children and Adolescents Against Cyberbullying’.